Tracking truck loads of valuable material around your mine site can be a nightmare of paperwork or complicated and expensive dispatch systems. 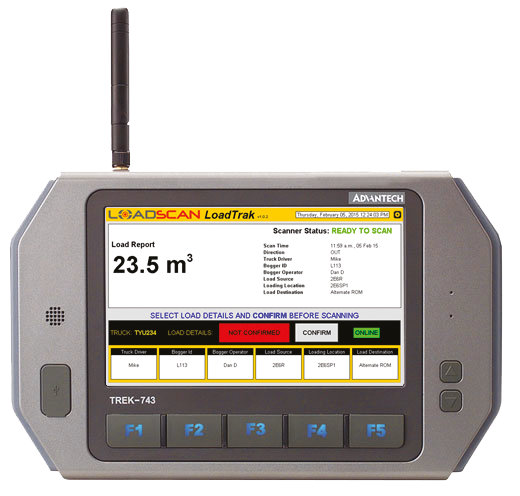 LoadTrakTM rugged in-cab consoles are a custom value-adding remote data entry and feedback option for your LoadScan Load Volume Scanner (LVS) that can replace paper load records without over-complicating things. 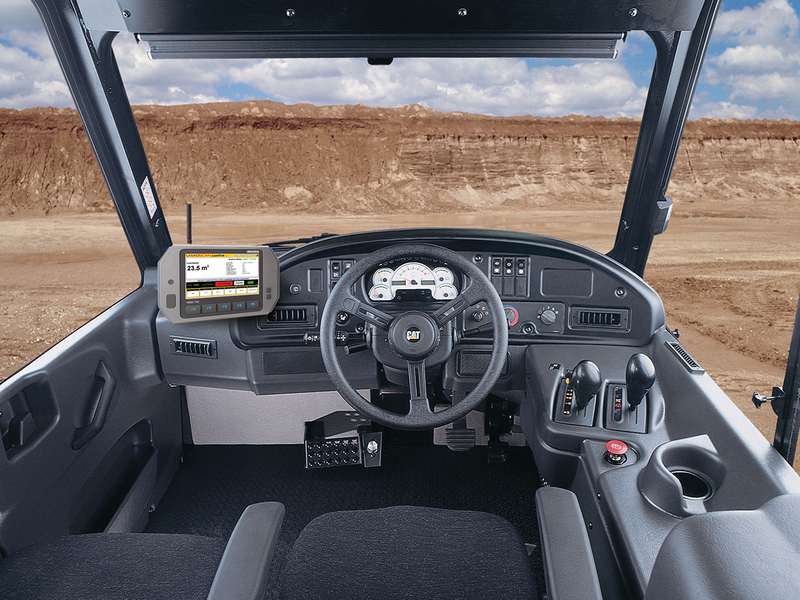 Rugged mining-proof touchscreen consoles with built-in wireless (WiFi) connectivity allow truck drivers to enter load details such as load source, load type, destination and so on at the time of loading. When loaded trucks come in WiFi range of the LVS system the load details are automatically uploaded and recorded with load measurements. All load details are available for analysis and reporting with LoadScan OverViewTM load management software or other in-house systems. Measurement data and any configured statistics or load profiling graphics and analysis are reported to the driver immediately after load measurement. LoadTrakTM is a custom solution tailored to your site requirements.